Captures up to 99.97% of microscopic allergens, 0.3 microns and larger, from the air that passes through the filter. SurroundSeal Technology helps minimize air leaks and ensures that the air passes through the filter. Intelli-Check electronic filter indicator reminds you when to clean the HEPA filter and when to change the pre-filter. Includes long lasting HEPA Filter (24000) that can be cleaned. Replacement filter model 24000 or 3 HRF-F1 filters can be used to replace the original filter. Includes 1 Carbon Pre-filter. The Pre-Filter A (model HRF-AP1) needs to be replaced every 3 months. A filter light reminds you when to change the filters and they are easy to replace - no tools required. The Honeywell True HEPA air purifier offers 3 powerful cleaning levels and can help reduce the amount of odors and airborne particles in large rooms. Its long-life True HEPA filter captures up to 99.97% of particles as small as 0.3 microns from the air that passes through the filter. This powerful model effectively captures particles such as dust, tobacco smoke, pet dander and pollen from the air that passes through the filter. It also helps capture certain airborne germs such as bacteria and virus. The 50250-S has a 360° air intake for maximum efficiency and features a carbon pre-filter that prolongs the filter life by removing large particles before they can enter the HEPA filter and helps reduce common odors. Product Dimensions (LxWxH): 18 x 18 x 19 in. Love the size and functionality of this air purifier. It was recommended by a friend, and I feel that it has been a great investment. I was worried the noise of it might be problematic, but it is quieter than expected. This is the best all around air cleaner I have ever seen. It can clear a 20 x 20 room in 5 minutes, smaller rooms much quicker and if you need an air cleaner on at all times it is very quiet at low speed. Very good product. Indicator light is too bright for bedtime use. Should have an option to turn off or should be removed completely. Noticeable difference in air quality in the house. Coughing has stopped. Using nebulizer less. My doctor recommended a HEPA air purifier and it has really helped my allergies and asthma. 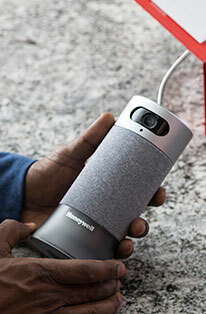 The Honeywell air purifier allowed us to sleep when we had poor air quality due to the recent Camp fire. It works well, it is just too noisy. Our older one had a quieter setting. 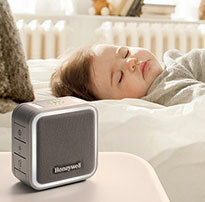 We run 3 Honeywell filters in our home - from small nightstand model to a large room model. We are very pleased with them all. Just a word regarding the filters - always buy them from Honeywell because the ones from the stores - sometimes even though they appear to be in Honeywell boxes, they are knockoffs and smell terrible. I have COPD and as a result I have several Air Purifiers in my home. The large filter size coupled with the large pre-filter should make this 50250 unit purify a lot of air for a long time. The unit does move a lot of air on all three speed settings but is too loud on even the lowest speed setting for use in a sleeping area. Great device for cleaning air! Highly recommend! Quiet. Honeywell makes good products. Period. This large purifier is no exception. It cleans and freshens very well and makes for easier breathing. We have 3 Honeywell purifiers all together from this larger one then a mid-size and a small table-top model. All are great. Just a couple of words of advice: Never purchase any other brand of filters - they stink and make the whole house smell horrible - of course, the opposite effect as desired. Also, they turn SO much volume of air that you have to clean the vents on the device AND the filters frequently. But their designs make that easily accomplished. We vacuum off the filters until it is time to replace. We are happy we can buy direct from Honeywell!! Good performance, although a little noisy on the highest setting. Just been using it for a few days so I cannot give a fair review, but so far it's going great! Found an improvement in the air quality as there was a musty smell in my bedroom. Excellent Title that explains exactly what this filter does. Exactly what I needed for a very good price. My cats especially love it, since it removes all odors from the house. I even ordered one for a Cat Adoption Shelter in my Town. I can't wait to give it to them. One of the most reliable devices we use to control toxins in our environment. At work and at home. Smoke from recent California wildfires made for really unhealthy air quality. I ordered this air purifier, which arrived ahead of schedule, and have been running it 24/7 ever since. What a relief! Very satisfied with our purchase. This filter has helped our allergies and asthma caused by indoor pollutants. I placed my order by phone. The sales person was very knowledgeable, and helpful. I received the order in a timely manner. I will order from Honeywell again in the future. I am very happy with this product. my son doesn't sneeze anymore in our house so It s a sign the air is cleaner. It can be a bit loud but really no big deal. I wish I would have known about this product sooner. I have used this particular air purifier for 30 years. You do have to replace them as the motor does eventually go out, but we have cats and this product keeps the allergens way down. I also actually like the noise!! This purchase was to replace a similar unit that is over 10 years old. They are the very best in removing odors and doggie smells from the environment. The old unit runs constantly and has always done the job effectively, therefore the new unit was a very logical purchase. I have used it 1 week, but even after 1 day of use my air is much cleaner, it is easy to use. It is a bit loud on high, so I use low and it is fine and cleans the air well. this device has made my allergies and asthma more tolerable. very grateful! quiet machine with easy up-keep. I have been sick since I moved to this house 3 years ago, after one day of running the air purifier I felt tons better. I no longer sneeze all the time, I love the filter! This product is wonderful. It's significantly reduced my allergies and asthma complications within my apartment. I bought this for my office. It is a little too big for my office. So I kept at the low setting all the time. So far so good. I can feel the difference when it is on. Our family suffers from allergies and asthma. After putting the Honeywell HEPA air puffier in the bedrooms and my office, I can really see a difference. My daughter no longer wakes up coughing. So far it has cut way down on the dust and pet dander. Spring and its pollen will be the real test, but so far, so good in February. Exceptional value, we have been buying this item for years but now stores have stopped carrying them. Delivery was within the 24 hours of my order. This product is meeting my needs. It is louder than I expected. But it gives me a sense that it is really pulling tube air through. I have a parrot that creates lots of dandier. I can definitely tell a difference. I must say the delivery of the 50250 was super fast and received it in excellent condition. After checking a lot of brand in the market,reading reviews. I finally decided to buy this Honeywell hepa a/p. We are using it now for 2 days and we are pleased about its performance. Being diagnosed to suffer from a lot of allergens I can tell it does change the inside atmosphere of our house. I can freely breathe now and sleeping longer hours. I think my English bulldog benefited from this purchase too because she's no longer sneezing as before. Lastly, the noise issue ..the unit is big and making it quiet is a plus factor. Bought this to replace the original series Honeywell HEPA filter...like the change from blowing at the bottom to the top in this model. After 12 years with the old filter, the new model makes a substantial difference in air quality. I have asthma and purchased this model 12 years ago. It was a big factor in finally getting it under control. In that 12 years I only had to replace the HEPA filter once. Just recently my change filter lights went on and I decided not to replace it. Without my air purifier the asthma symptoms returned. I had no idea just how much this unit was helping me to stay well. I have decided that the price of the HEPA filter is much less than the cost of medicine and doctor visits that become necessary when the wheezing returns. There is some white noise from the unit but on the lowest setting it is minimal and actually helps me sleep. I would highly recommend this unit to anyone especially those with any type of pulmonary illness. The Honeywell HEPA filtering unit. I am recovering from double pneumonia, very time consuming and I need to continue to work. I work as a contractor from my basement which is not very well ventilated. 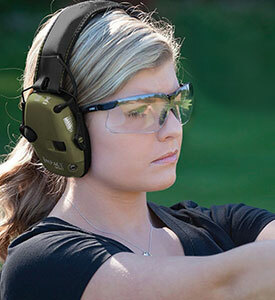 The Honeywell HEPA is being used to keep the work area free of harmful materials. I am also using Honeywell 38002 universal activated carbon filter for additional filtering. The unit runs 24/7 and I am very well pleased with its performance. It has also removed some strange odors that were once in my basement. I have the older version of this filter which does not have the germ fighting feature. I received the filter as a gift for Christmas of 1999. Within 30 minutes of turning the filter on, the entire family noticed a significant difference in the air quality and my severe cat allergy reaction was significantly reduced. The filter has been on non-stop except for the time necessary to replace the filter. Unfortunately, I believe it is coming to the end of our time together. I have tried other Hepa Filters also by Honeywell, but this style has the best filtration at a fraction of the cost for the price of the filters. I bought this product for my wife who is suffering from an acute case of bronchitis. We've only had it a week, but she says it's really helping and she's sleeping more soundly! Very good product have 2 that says it all. We have a lot of parrots in our home and it would be filled with bird dander if we did not have high quality air filters. The HEPA Filters do a fantastic job. We have THREE of them. In a normal home, and ours is anything but, they would be absolutely superlative.If you need an air filter, this is the ONLY ONE TO EVEN CONSIDER. So far really good. I looked at several models and brands before selecting the Honeywell True HEPA air purifier and by far this one was and is the best. The office used to be stuffy, dusty and smelly. Now it's a breathe of fresh air to walk into. This unit was purchased for someone with a lung condition that is exacerbated by allergies. It truly has made a difference in the air quality in the room where it runs. She is able to sleep through the night without waking to use her nebulizer. I'll be purchasing more for other rooms. Delivery was fast. I love it. I run it every day. Would like another one. Works great. I have owned three Honeywell HEPA air purifiers over the past 23 years. I have tried other purifiers but I always come back to Honeywell. It does the job better than any other and the replacement filters are easy to order. This is the third Honeywell product we have purchased. They are all wonderful products and they are well made. At first we thought of sending it back and getting a smaller unit, but decided to keep it. It does an incredible job of cleaning the air. I purchased this air purifier with the hopes that it would eliminate cigarette odor and smoke. It does very good at eliminating the cloud of smoke. However, not as well as I hoped at eliminating the odor. Would probably work for someone who smokes occasionally but for the pack a day smoker, I would not recommend. As my husbands health started to deteriorate from the local pollution & pollen which were seeping into our home, we ordered the Honeywell 50250 about 2 weeks ago and are already starting to see a difference. We did have trouble finding one for sale... until going directly to the Honeywell Store! Thank you! So far so good. The daughter we bought if for did very well over the holiday. We are very satisfied. replaced one that was 10 years old..like very much. After suffering from allergies I decided to take the plunge and purchase this unit. I have only owned it about two weeks, but have no complaints whatsoever. I will never use another air purifier. It works great. I use this one for the house and I bought 2 smaller ones for the bedrooms. My purchase was five star from beginning to end. From finding what I wanted online, talking to a rep for details, placing my order, receiving it quickly & experiencing clean air after all the smoke weve had from fires surrounding us, I am one very satisfied customer! I own three Honeywell tower air purifiers and now two of the 52250s and would not rely on any other brand!! Delivery was very fast and remember, Honeywell will keep you breathing fresh clean air. Thanks Honeywell! In terms of being a filter on its own, its great. But once you need to replace the filter, you need to use 3 small ones. 3 small ones arent as efficient as 1 big one. You can find sites that sell knock-offs, but they have a bad smell to them. Honeywell needs to sell BIG replacement filters -- the same kind that come with the 50250 on the original purchase! We had a 5300 series Honeywell True Hepa that ran 24/7 for 12-1/2 years & gave excellent results. We recently replaced this unit with the 50250 Honeywell True Hepa & are pleased that we are receiving the same excellent air purifying results. Noticed the change in the air quality immediately. The air filter is loud but it creates white noise that does not bother me and actually tunes out other annoying sounds in my house when I sleep. The only complaint is the bright blue light on the fan switch which can light up half your bedroom at night. Much improved the air quality in my bedroom. I run it on high during the day and at night low or off. I love coming into the room in the evening to a nice clean smelling room with clean air! Ahhhh... we can breath again! Breathing has been made easier for our allergies and asthma because of this air purifier! I do wish it was quieter - but otherwise very happy with my purchase. I was expecting this to help with odors theres a special filter for that and keep the air a bit more purified. However, what Im finding is that, while it does move air around quite well, its really just a glorified fan. It seems to spread the odor around more than eliminate it. And it is rather loud. We can only run it on the Sleep mode which is the lowest setting becuase weve purchased it for our office. We cant hear each other talk if we have it on High. Its noisier then I had expected. So far working fine. Cannot get it to turn on. I have loved my honeywell air purifier, but now I think the switch is bad. The air purifier will not turn on. Is there any place that I can order just the switch? If not, is there anywhere to obtain the wiring diagram, since my husband is an electrician he said that if he had the wiring diagram, he could fix it. I have the owners manual and it is no help. Thanks for your time. Bought mine second hand for $40.00 and i love it.Dont understan why they sold it.Oh well their loss my gain and for alot less. This model seems to move a lot more air and filter better. We will be getting another one very soon. Ive used one of these for years now well past the warranty expiration, and when it finally quits I will buy another Honeywell to replace it. It has protected my roommate who used to be allergic to my cats..not any more since I began using the Honeywell. And I dont know what the noise complaints are about. In fact, I use the turbo setting TO sleep! It creates the best white noise for that purpose. Even my 4 yr old granddaughter loves it, and when I put her down for a nap or for the night she always reminds me to, turn on the fan Grammy. THE HONEYWELL AIR PURIFIER DOES A GREAT JOB OF CLEANING THE AIR IN REMOVING DUST, POLLEN, AND OTHER IMPURITIES AND ALSO MAKES THE HOUSE SMELL COMPLETELY FRESH. 1 very good, the other good but a little louder..
We purchased two, and they seem to have improved the quality of the air in our home and our daughers allergy symptoms. One is louder than the other, especially in the lower settings even though both are exact same product. The Honeywell store had an easy web site for ordering. We received our Air Purifier very quickly, 3 days after ordering it was at our door. Love the night fan setting. My husband was sneezing at 3 a.m. for a couple of weeks straight. After running the air purifier for about 5 days, he no longer is waking us both up at night. I love the easy portability to move to other rooms in our home. Have recommended to friends. We are sorry you are unhappy with your purchase. We do offer a 30 day return policy. Please contact us and we issue you an RMA. So far, no problems. Another family member also purchased same product and having no issues with it, at all. This product is performed as advertized. It is big enough for large areas. Three-speed fan control is good. Only concern that I had was the fan noise, but its quite. I am happy with its performance. The product works great. It reduces allergens that give me asthma and cause me to sneeze. I sleep better with the clean air and the gentle white noise it produces also helps me sleep. I bought this product to replace a slightly smaller honeywell filter that I ran 24/7 for 10 years that recently gave out. Actually it was still working... just someone yanked the cord out of it and I didnt feel like fixing it. Cons: I absolutely hate the blue light on the controls for this thing. It is bright and bothers me while I try to sleep. I fixed it by covering the control switch with duct tape. Now I cant easily adjust the fan speed. I have used Honeywell HEPA air purifiers for 40 years. I have severe allergies and asthma and use one of these air purifiers in my bedroom at home and one in my office at work. The effeciency of the Honeywell HEPA air filter allows me to live a normal life. I cant say enough good about my air purifiers and wouldnt even want to try to live without them. 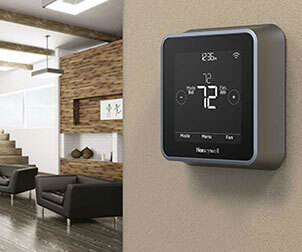 We are very pleased with the new Honeywell 50250. It replaces an earlier model that served us well for many years. It arrived sooner than I had expected and was put into service the same day! Q: Does this work with asbestos? A: Yes, this product uses a HEPA Filter to efficiently eliminate bacteria, contaminants, asbestos and various other allergens and pollutants.